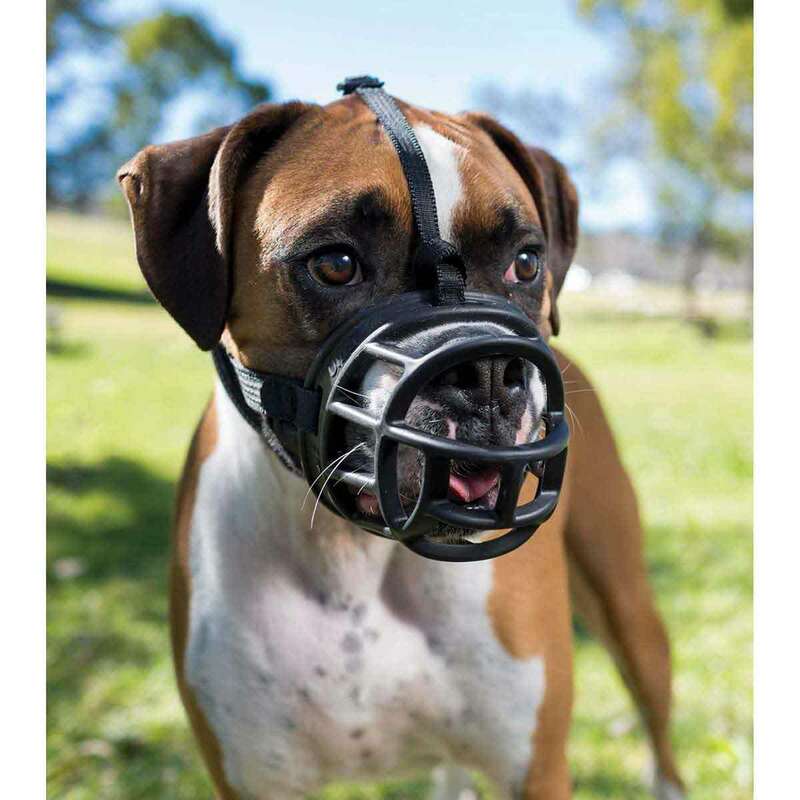 The Baskerville Ultra Muzzle was designed by Dr. Roger Mugford to protect against bites but not at the expense of the dogs welfare or happiness. 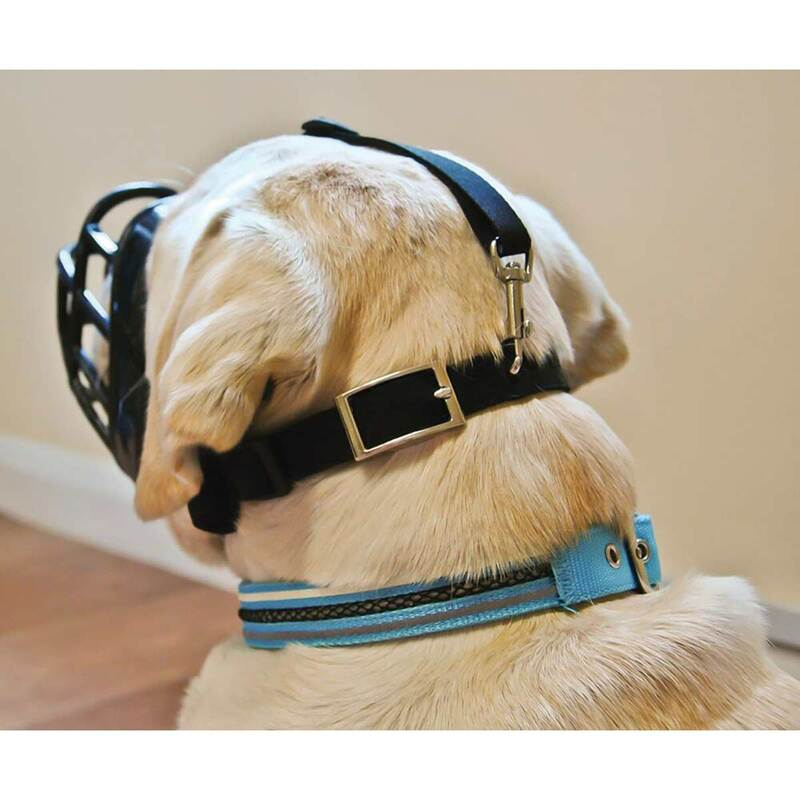 The Ultra Muzzle has a flexible fit for dogs with wider noses and also allows the dog to eat whilst wearing it. The ergonomically designed safety strapping ensures the muzzle will always remain securely in place and features two additional points of secure attachment. The loop at the bottom attaches to your dog’s regular collar and there is an optional, removable over-head safety strap. A secure metal buckle with pre-holed webbing ensures it is fully adjustable and quick and easy to fit. Made from strong but malleable thermos plastic rubber (TPR), the muzzle can be molded to best fit the dog’s muzzle by warming in hot water then cooling in cold water to create a broad muzzle for a Boxer or a narrow muzzle for a Borzoi.